Today featured a double hit. Sure, I was fatigued by the constant on-the-go. But really, the opportunity and experience of trying a new drink couldn’t go unpassed. The first drink was more for thirst purposes, but I think I found my favorite canned drink in this maroon can. 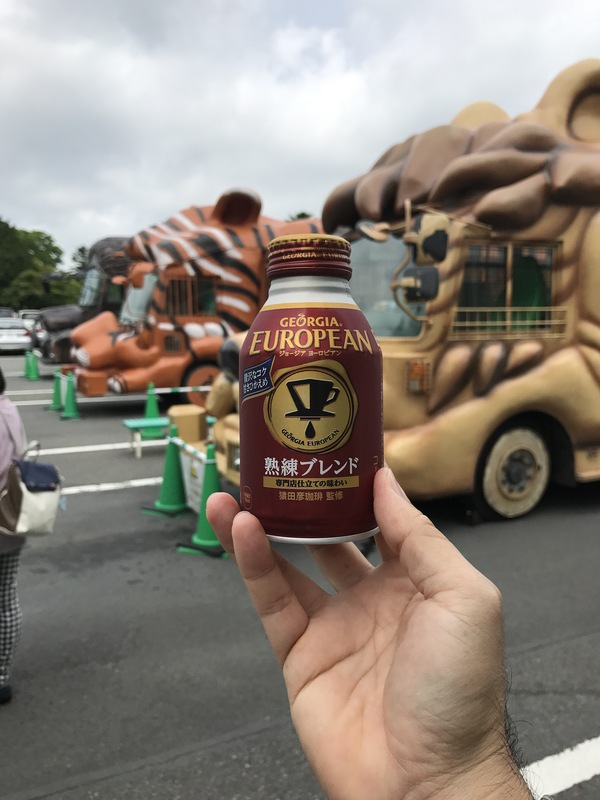 The Georgia European is slightly sweetened and has cream making this drink easier to drink. My second hit of the day was opportunistic and commemorative. While waiting for my first Shinkansen ride, there was a Doutor coffee shop in the train station. Handed an English menu since pointing at drinks on display wasn’t working, I got an iced Honey Au Lait which was ready immediately after payment. Very nice! But it kept me awake during the long ride to Kyoto.